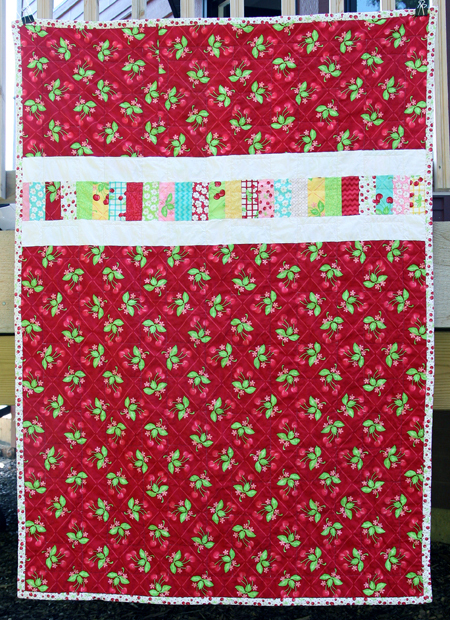 I finished the Oh Cherry Oh Stacked Coin Quilt last night! I think it turned out great. 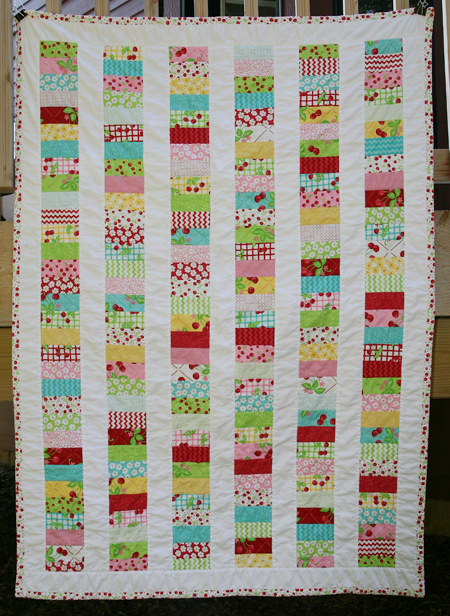 If you remember, I followed the directions from the Moda Bake Shop, however I altered the pattern a bit so the quilt would be big enough for 2 people to have a picnic. I ended up using about 3-1/2 charm packs. 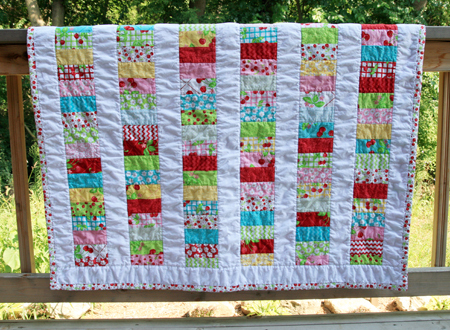 I decided to make the back of the quilt red so it won't show dirt as easily when put in the grass. 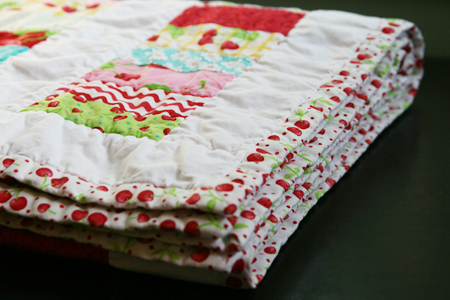 I stitched in the ditched along all the seams and the binding is a tiny cherry print. The final size on this one is 46" by 65". I hope my mother-in-law likes it!